The Urban Development Institute of Australia has released its 2015 State of the Land Report indicating a continuing downward trend in block sizes for new homes. The average median lot size nationwide is 474m2. Because lot size continue to decrease and homes tend to be built border to border, new home buyers must be selective when planning for their rainwater tank. Sometimes you just don’t have the space on your property to fit a round water tank for your needs. Team Poly works with individuals and builders nationwide, to respond to decreasing block size with space saving water tank solutions. If you are interested in conserving space, here are your four best water storage options. Slimline tanks are a wide but narrow water storage tank. They are a great solution for tight spaces on your property, and can even be placed along a boundary or border. However you will need to check your local council regulations regarding how close you can place your tank to a boundary. Aqua Spring Slimline – sized from 650L to 5,000L, Aqua Springs are a one-piece design, meaning they are stronger since they have no side seams. They have a rounded smooth finish. 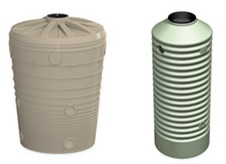 Modular Slimline – sized from 1,140L to 2,500L, these tanks can have either a corrugated or flat surface finish. Razor Slimline – size from 1,000L to 2,000L, Razor’s are an ultra slim design (starting at 290mm depth) with a smooth square finish. 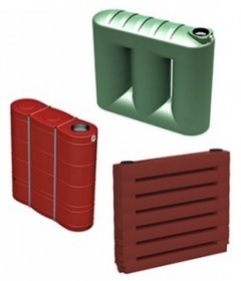 The Modular and Razor slimline tanks are modular systems so can easily be fitted together to create a greater water storage capacity. The Aqua Spring tanks can be linked via pipework to increase capacity. Another option for tight spaces is the use of multiple small round tanks. If you have at least 700mm to 1150mm of available space, then you can fit our small round tanks (545L to 1000L). Multiple tanks can be interlinked together to create a larger storage volume as well as a great “settling system”, which greatly enhances water quality by decanting the water (removing sediment) as it moves between the interlinked tanks. 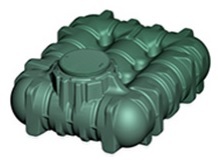 Underground tanks come in various shapes and sizes and are simply buried water storage tanks. This hides the tank from obstructing views or using up precious outdoor living space. Since space becomes less of an issue, you can fit larger water storage facilities on your property. Water quality also tends to be better since the tanks are kept dark and cool underground. Team Poly offers the Li-Lo Underground Water Tanks which is a shallow excavation water tank – meaning you don’t have to dig a very deep trench to install it. You could even fit it under your driveway. The Li-Lo ranges in size from 1,500L to 5,000L but they are a modular tank so can be linked up with others to increase overall capacity. Underdeck Tanks are the ultimate in concealed water tanks. They can be fitted underneath existing decking, or you may plan a new deck with the purpose of discreetly storing your rainwater harvesting system beneath. Even homes with small courtyards can have the benefits of large capacity rainwater storage by installing an underdeck tank system. 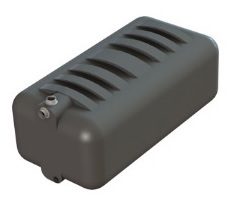 Team Poly’s Underdeck Tanks is 2,000L and made from a single piece rotational moulding for strength. The tanks may be linked together to store a larger capacity. The same care taken in installing large water tanks is given to tanks for small spaces. While the proportions might be somewhat more diminutive, a slimline tank (for instance) must still be levelly rested on a stable, structurally sound base. While most small space tanks are easy to install by your home handyperson, any plumbing into your home toilet, hot water system or laundry will need to be completed by a licensed plumber. If you’d like more information about Team Poly’s water tank range for small spaces, contact our expert team of customer care representatives – we’ll be glad to help.